Moved elsewhere for quicker sale. It's why I've put it up... Very reluctant sale. 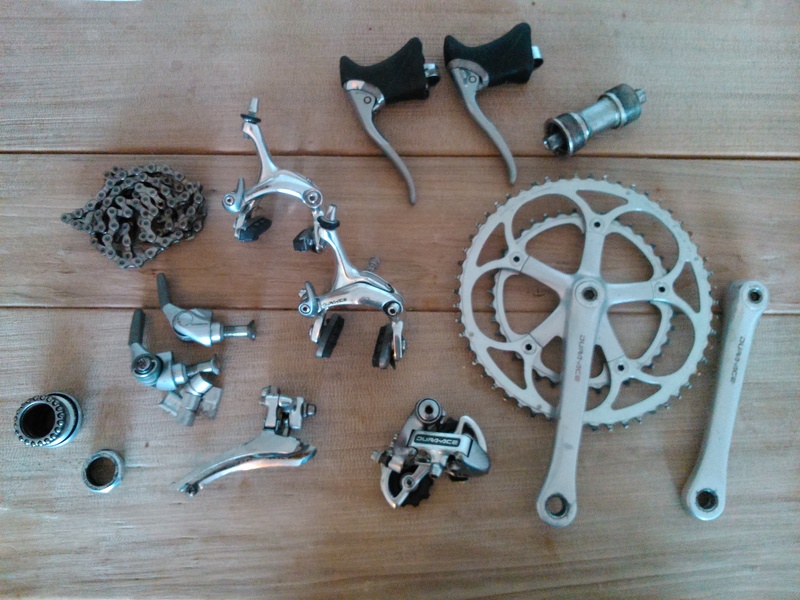 Selling my Dura Ace 7410 groupset after dismantling my lopro. Looking for offers around £200. Collection in West Sussex or buyer covers postage and paypal fees. I have both an English and Italian bottom bracket. Can add more pictures if you are interested. All in really good condition. Seattube isd 57cm c-c and 61cm to the top. Toptube is 57cm c-c.
No idea of the size, fitted me and I'm 6 foot something... Will measure up tonight. 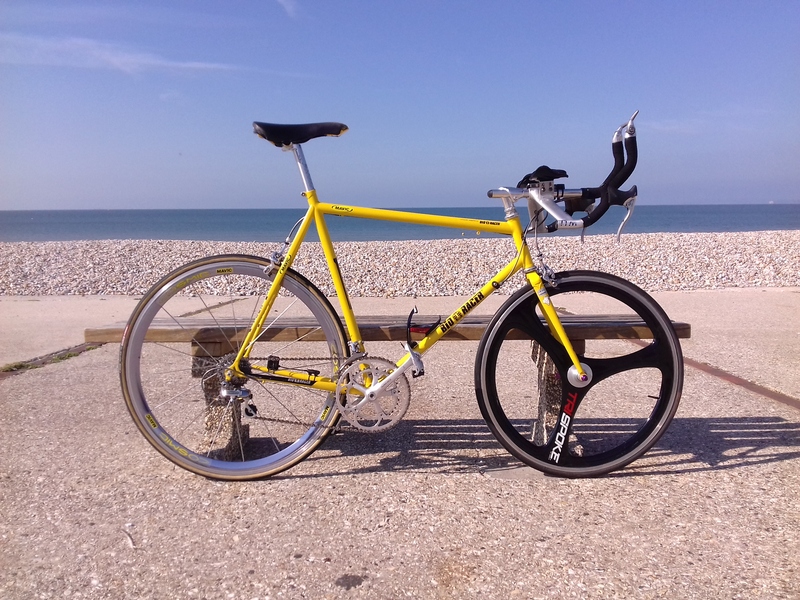 Having a clear out and selling my Bio Racer lo pro. I've split it so just selling the frame and forks. Only rode it a few times last Summer and was NOS before I picked it up. £100 or open to offers. Collection in either Worthing or Chichester, or buyer covers paypal fees and postage to the UK.